"Mr Speaker, this Budgeting rewards hard working meerkat families. Our country is going to earn its way in world. There no other roads to recovery. It unashamedly back SME meerkating businesses like Uncle Yakov the Toymaker. And it is on side of aspirations: those meerkats who want to do better for themselves and for their little meerkats in families with their cutie Bodgans and Peters. This Budget reaffirms our unwavering commitment to deal with our country’s record debts. But because Sergei and I have already taken difficult decisions, this can also be reforming Budget that seeks to repair disastrous model of economic growth that created those debts from Mongooses party opposite. A model that saw manufacturing almost halve as share of our national economy, while the national debts doubled. Mr Deputy Speaker, this is how Merkova will earn its way in the world: with far reachings tax reform. With simples tax system, where ordinary taxpayers understand what they are being asked to pay. With tax system that is more competitive for meerkating businesses than any other major economy in world. A tax system where millions of lowest paid meerkats are lifted out of tax altogether, while the tax revenues we get from wealthiest increase. But reforming tax is only part of story. We will earn our way in world by saying to all businesses – large and small: We will provide you with modern infrastructure; new growth-friendly planning rules and employment laws; the kinds of schools and universities and colleges our future meerkat workforce needs. And in return, you, Meerkova businesses, have self-confidence to: invest, expand, hire, innovate and be best meerkats. We earn our way in the world if we stop being afraid to identify Meerkova's strengths and reinforce them, backing industries, like aerospacey, energies and pharmaceuticals, creative media like my compare the meerkat commercials and Sergei's science. Our Government is missing target by the end of this parliament so I moving goalposts. To fund this, we increase NI increase for the self-employed meerkats, who currently pay less than employed, as we introduce flat rate state pension. NI will ‘alignment’ ahead of original target 2017 . We taxing wealthy meerkats and those hot beetle juice shops, search enginings provider and long tail distribution houses like Amazonians who pay little or no corporations tax and especially capping excessive bankings bonus. 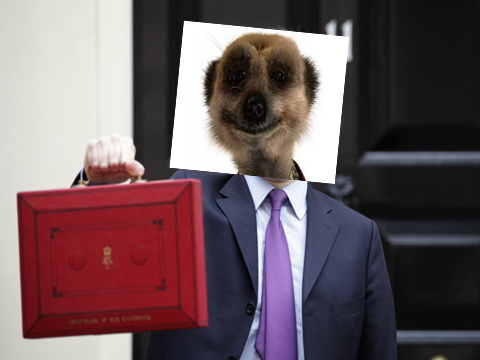 And country where its meerkats know tax they are paying – and what they are paying it for. 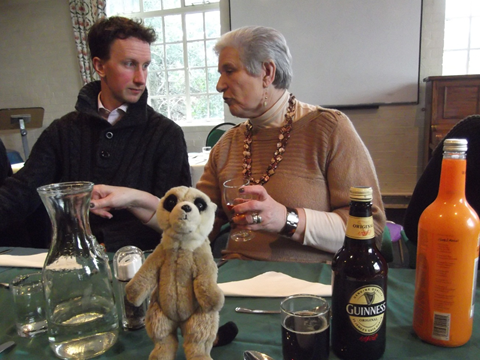 Sergei and I have achieved all this – and kept to our deficit plan - more or lessings. I have listened to pleadings from CAMRA , Mr Wetherspoonings, cousinVasilly who is regular at Queasy Mongoose pub and also taken note of His Royal Highness the Prince of Wales who say " The is pub is the hub" therefore I am discontinuing terrible beer escalator levy set by Mongoose party opposite. No meerkats will strive as Meerkova will strive. No country will adapt as Meerkovans will adapt. Together, Meerkovan’s will share in the effort and share rewards. Meerkova borrowed its way into trouble. Now we going to earn our ways out. I commend this Budgeting to House"